Joshua first meets Chatham while playing with his twin baby sisters at the beach one day. Chatham immediately fascinates him with her story of just being in town trying to find her sister who believes she witnessed a kidnapping there many years before. The kidnapped girl, Rachel, has been a local mystery for over a decade and Joshua has been obsessed with her nearly all that time so he is further drawn to Chatham as they investigate both her sister's and Rachel's disappearance and how the two might be connected. I found myself disturbed by Joshua's home life and that sense of disquiet overshadowed a lot of the rest of the story for me. 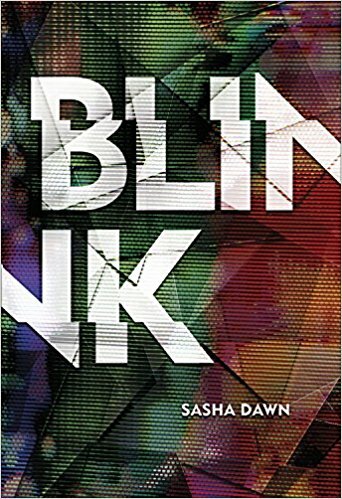 It seems obvious that we are supposed to be unhappy with his mom and former stepfather so Dawn did a good job of weaving some low level dread throughout most of the book, but that didn't make the book as enjoyable for me. I also was not taken with Chatham as a character. Something about her didn't connect for me so I had little interest in finding out her secrets, feeling invested in them, or cheering on her relationship with Joshua. Instead, it felt to me like she was using him toward her own ends most of the time. I can chalk all of those issue up to the book just not working for me, specifically, but I actually have a serious issue with the transformation of Joshua's mom from abuse-enabler to someone who I think is supposed to be sympathetic as a character. Overall, it just wasn't a fun read for me.